Well, well, well...looks like we are about to enter the New Year, whether we are ready or not! I always like to take this week to reflect on what has happened in the past year and really cherish all that I've accomplished. It makes for a much smoother transition this way, and in this you can find new motivations for all those resolutions that are so hard to keep! 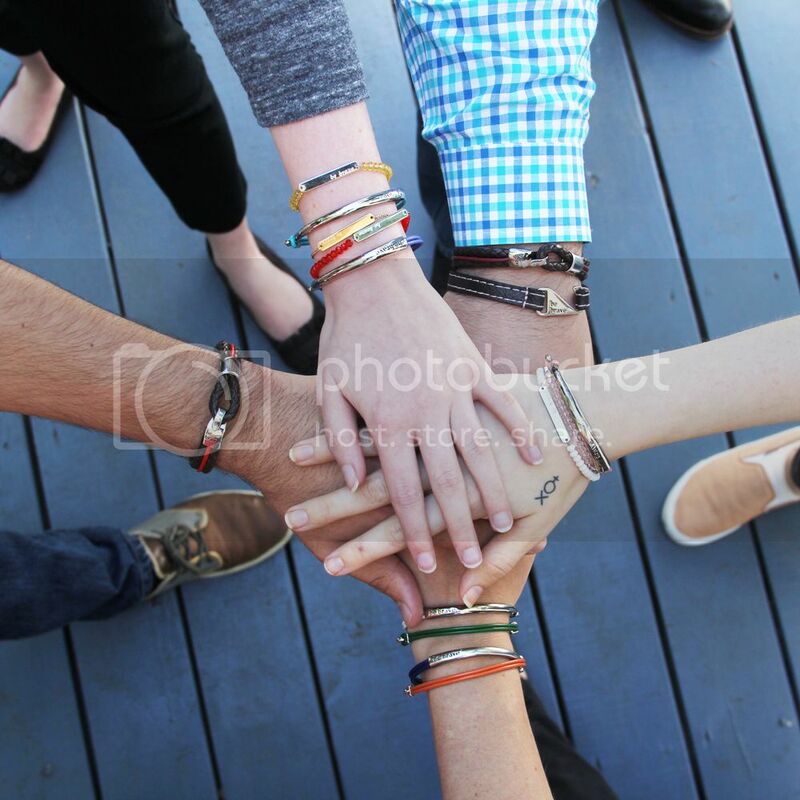 Let's start out with a bang: Bravelets has raised over $1,978,260 in donations to date and is on track to $1 million in donations in this calendar year alone. Our growth this year has been astronomical (or more like exponential) and it is all thanks to our wonderful supporters and affiliates. Thank you for making Brave Pages and promoting your causes. Thank you for buying Bravelets for your friends and family. And most importantly, thank you for helping to spread our message of bravery. Our growth all started with moving to our new office space. We took most of 2015 to fully settle into the house (yes, it's in a cute little house!). Having this new office meant the company could expand in every way possible! We had 6 new hires this year, rounding out our team to 10 employees at Bravelets HQ, and you have already gotten to meet a few of them. One of them was me! In 2015, we also had some exciting product launches! We released the charm necklaces and our "be brave" earrings. These additions to the Bravelets collection have proved to be awesome (I just HAD to get my hands on the earrings when they came out!). We have also been developing our Independent Fundraising Consultant Program with a pilot that started a couple of months back. The official "launch" of that program will happen in January 2016, and we hope the best for all our current Consultants! Hello! I see you are still growing and I wish to go on! Avoid websites like https://roulette-en-ligne.ca/ and continue to write great content. I have been interested in cryptocurrency for a long time. Thanks to this, I was able to leave my previous work in the office and save up for a new car. A friend of mine recommended this site https://esportbetweb.com/pubg-betting-sites/ to me to follow all the news. And I recommend it to anyone who, as well as I am interested in this topic.